Foxglove ‘Alba’ is probably one of the most iconic flowers I sell in the seed shop….everyone knows it. 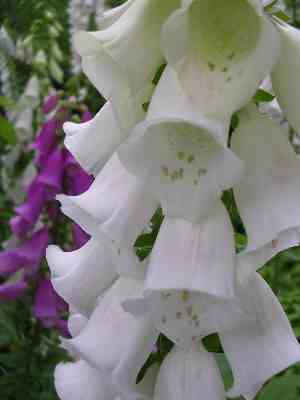 White foxgloves such as this are the mainstay of the cottage garden…not only that but they make excellent cut flowers. If you have space in your cut flower garden that has a dappled light…then foxgloves are some of the best plants to grow there. Sow from May through until late July for flowering early the following spring.